�����Joseph Jeffers was born on 20 August 1760 at Preston, Connecticut.1 He was born on 20 August 1760 at New Lebanon, New London County, Connecticut. He was the son of Joseph Jeffers and Dorcas Ames. Joseph Jeffers began military service at Chesterfield, Massachusetts, At the age of 15, he enlisted in the Continental service in.2 He lived in April 1777 at Worthington, Massachusetts. He was discharged on 31 December 1779 after serving two years plus eight or nine months. Simeon Smith took his place to complete his term of three years.2 He married Eunice Giddings, daughter of James Giddings and Lois Turrill, on 2 January 1783 at England.3 Joseph Jeffers was signed an affidavit of his Revolutionary War service to file a pension claim under the act of Congress entitled "An act to provide for certain persons engaged in the land and Naval service of the United States in the revolutionary war." on 22 April 1818 at Lewis County, New York.4 He died on 28 June 1845 at Pinckney, Lewis County, New York, at age 84; died at 84 years of age. Joseph Jeffers, who fought at Trenton and Princeton, and at the battle of Monmouth , died at Pinckney, Lewis Co., N.Y., on the 28 ult., aged 84. He was first among the first at Bunker Hill, was at Saratoga, at Fort Stanwix, in the Encampment at Valley Forge, and one of the first who scaled the walls of the fort at Stony Point, under Gen. Wayne, which was carried at the point of the bayonet. He left the army in 1780. [S120] Unknown author, "Electronic Web Site," e-mail to unknown recipient, Ancestry.com - Connecticut Town Birth Records, pre-1870 (Barbour Collection); 20 Jan 2007. [S169] Jane Grace Moffatt Spulak, Moffatt Family History, p. 136. [S120] Unknown author, Electronic Web Site, http://awt.ancestry.com/cgi-bin/igm.cgi; 23 Jul 2004. [S127] Unknown subject, Military Service Record, Sworn testimony for pension application for Revolutionary War service before William Root, Judge of the Court of Common pleas, Lewis County, New York. [S83] Unknown name of person unknown record type, unknown repository, unknown repository address, photograph dated 29 May 1992. �����Eunice Giddings was born on 13 December 1763 at England.1 She was the daughter of James Giddings and Lois Turrill. Eunice Giddings was born on 13 December 1765.2 She married Joseph Jeffers, son of Joseph Jeffers and Dorcas Ames, on 2 January 1783 at England.1 As of 2 January 1783,her married name was Jeffers. Eunice Giddings died on 15 July 1826 at age 62.2 She died on 25 July 1826 at age 62. [S120] Unknown name of person unknown record type, unknown repository, unknown repository address, http://awt.ancestry.com/cgi-bin/igm.cgi; 23 Jul 2004. [S208] St. Petersweg 11-13, Regensburg Catholic Archives: Fiche No. 59, I Band 5/7; Seite 117; Researched 16 June 2008 [Marriage record for son, Joseph]. [S17] Death Record - Local, Dodge Co Death record v6 p195. [S208] St. Petersweg 11-13, Regensburg Catholic Archives: Fiche No.20, Band 2; Seite 132; Researched 16 June 2008 [Marriage record for son, Joseph]. [S208] St. Petersweg 11-13, Regensburg Catholic Archives: Fiche No. 59, Band 2/5; Seite 117; Researched 16 June 2008. [S208] St. Petersweg 11-13, Regensburg Catholic Archives: Fiche No. 30, I Band 3/1; Seite 6; Researched 16 June 2008. [S153] Dr. Paul Mai and Archivdirektor, "Regensburg Research Letter", Bogenberg Bd. 3 S. 151 FN 36; Research Letter from Bischofliches Zentralarchiv Regensburg; Dr. Paul Mai, Archiv Direktor. [S153] Dr. Paul Mai and Archivdirektor, "Regensburg Research Letter", Bogenberg Bd. 3 S. 142 FN 36; Research Letter from Bischofliches Zentralarchiv Regensburg; Dr. Paul Mai, Archiv Direktor. [S153] Dr. Paul Mai and Archivdirektor, "Regensburg Research Letter", Bogenberg Bd. 3 S. 91 FN 36; Research Letter from Bischofliches Zentralarchiv Regensburg; Dr. Paul Mai, Archiv Direktor. [S153] Dr. Paul Mai and Archivdirektor, "Regensburg Research Letter", Bogenberg Bd. 3 S. 101 FN 36; Research Letter from Bischofliches Zentralarchiv Regensburg; Dr. Paul Mai, Archiv Direktor. [S153] Dr. Paul Mai and Archivdirektor, "Regensburg Research Letter", Bogenberg Bd. 3 S. 121 FN 36; Research Letter from Bischofliches Zentralarchiv Regensburg; Dr. Paul Mai, Archiv Direktor. [S153] Dr. Paul Mai and Archivdirektor, "Regensburg Research Letter", Bogenberg Bd. 3 S. 169 FN 36; Research Letter from Bischofliches Zentralarchiv Regensburg; Dr. Paul Mai, Archiv Direktor. [S153] Dr. Paul Mai and Archivdirektor, "Regensburg Research Letter", Bogenberg Bd. 4 S. 9 FN 36; Research Letter from Bischofliches Zentralarchiv Regensburg; Dr. Paul Mai, Archiv Direktor. [S153] Dr. Paul Mai and Archivdirektor, "Regensburg Research Letter", Berndorf Bd. 4 S. 129 FN 72; Research Letter from Bischofliches Zentralarchiv Regensburg; Dr. Paul Mai, Archiv Direktor. �����Theres Buchner was the daughter of Georg Buchner and Magdalena Sollinger.1 Theres Buchner married Michael Pielmayr, son of Mathias Pielmayr and Barbara Erndl, on 11 February 1816 at Bogenberg, Germany.1 As of 11 February 1816,her married name was Pielmayr (Buchner). �����Gideon How was born on 6 August 1786 at Ballston, Saratoga County, New York.1 He was the son of Isaac How and Esther Crapo. Gideon How was Farmer. He married Mary Jeffers, daughter of Joseph Jeffers and Eunice Giddings, on 2 March 1809 at New York.2,3 Gideon How began military service on 3 September 1814 serving as a private in Captain Thomas Collimar's company of Colonel David Rogers' Saratoga County Regiment, New York State Militia.4 He ended military service on 11 December 1814.4 He appeared on the census of 1830 at Pinckney, Lewis County, New York; HOW, Hideon (sic) [Gideon]: Male 1,1,2,2,1,0,1,0,0,0,0,0,0,/Female 1,1,0,2,0,0,1,0,0,0,0,0,0.5 He appeared on the census of 1840 at Le Ray, Jefferson County, Wisconsin; HOW, Gideon:Males 0,0,1,1,2,0,0,1,0,0,0,0,0/Females1,0,1,1,0,0,1,1,0,0,0,0,0.6 He appeared on the census of 1 August 1850 at Beaver Dam, Dodge County, Wisconsin; HOWE, Gideon: Age 62, Male, Occupation - Farmer, Value of Real Estate owned $1,000, Born in New York.7 He appeared on the census of 11 July 1860 at Beaver Dam, Dodge County, Wisconsin; HOWE, Gideon: Age 73, Male, Widower; Occupation - Dish Lurnir? ; Value of Real Estate $400, Value of Personal Property $140; Born in New York.8 He married Eunice Jeffers, daughter of Joseph Jeffers and Eunice Giddings, on 4 November 1863 at South Champion, Jefferson County, New York.2,4 Gideon How died on 16 June 1864 at Watertown, Jefferson County, New York, at age 77. [S120] Unknown author, "Electronic Web Site", GenForum; Tree of Edward Howe, p 5 of 10; http://genforum.genealogy.com/cgi-bin/print.cgi/…; 30 Jan 2004. [S166] 1830 Film, unknown repository address, New York; Lewis County; Pinkney Township; Roll M19_92; Page 411; Image 799; Ancestry.com image 04 Feb 2004. [S167] 1830 unknown record type, unknown repository address, New York, Jefferson County, LeRay Township; Roll M704_291; Page 30; Image 35; Ancestry.com image 04 Feb 2004. [S113] Unknown record type, unknown repository address, Wisconsin, Dodge County, Beaver Dam (town); p. 161B; Line 27; Dwelling 482, Family 494; Ancestry.com image 26 Jan 2004. [S9] Unknown record type, unknown repository address, Wisconsin, Dodge County, Town of Beaver Dam; Page 100, Line 14, Family 189, Dwelling 189; Ancestry.com image 26 Jan 2004. [S113] Unknown record type, unknown repository address, Wisconsin, Dodge County, Beaver Dam (town); p. 161B; Line 29; Dwelling 482, Family 494; Ancestry.com image 26 Jan 2004. �����Mary Jeffers was born before 15 November 1792 at New Lebanon, Columbia County, New York.1 She was born on 15 November 1792 at Stillwater, Saratoga County, New York. She was the daughter of Joseph Jeffers and Eunice Giddings. Mary Jeffers married Gideon How, son of Isaac How and Esther Crapo, on 2 March 1809 at New York.2,1 As of 2 March 1809,her married name was How. Mary Jeffers appeared on the census of 1 August 1850 at Beaver Dam, Dodge County, Wisconsin; HOWE, Mary: Age 57; Female, Born in New York.3 She died on 13 February 1856 at Beaver Dam, Dodge County, Wisconsin, at age 63.2,4 She was buried at Liepsig Cemetery, South Beaver Dam, Dodge County, Wisconsin. [S120] Unknown record type, unknown repository address, http://awt.ancestry.com/cgi-bin/igm.cgi; 23 Jul 2004. [S113] Unknown record type, unknown repository address, Wisconsin, Dodge County, Beaver Dam (town); p. 161B; Line 28; Dwelling 482, Family 494; Ancestry.com image 26 Jan 2004. Females - 1,0,0,0,1,0,0,0,0,0,0,0,0.2 He appeared on the census of 29 July 1850 at Beaver Dam, Dodge County, Wisconsin; HOWE, James M.: Age 37; Male; Millwright; Value of Real Estate Owned $150; Born in New York.3 He appeared on the census of 15 July 1860 at Beaver Dam, Dodge County, Wisconsin; HOW, James M.: Age 48; Male, Occupation - Mill Right (sic); Value of Real Estate $300; Value of Personal Property $100; Born in New York.4 He witnessed the oth of William How on 18 July 1868 at town of Newark, Rock County, Wisconsin; purchased land from Louis C. and Julia A. HYDE in the town of Newark, County of Rock, State of Wisconsin described as: The SW l/4 of the SW l/4 of Sec 26 and the S l/2 of the SW l/4 of Sec 27 and the NE l/4 of the NE l/4 of Sec 34 and the NW l/4 of the NW l/4 of the SE l/4 of Sec 35 all in T 1, R 11 in the County of Rock and State of Wisconsin.5 James Madison How appeared on the census of 10 August 1870 at Burnett, Dodge County, Wisconsin; HOWE, James: Age 59, Male, White, Occupation - Millier, Value of Real Estate $1000, Value of Personal Property $400, Born in New York, Male Citizen over 20 years of age.6 He appeared on the census of 10 June 1880 at Beaver Dam, Dodge County, Wisconsin; HOW, Madison: White; Male; Age 68; Married; Mill Wright; Born in New York; Both parents born in New York.7 He died on 14 November 1886 at Beaver Dam, Dodge County, Wisconsin, at age 75.1 He was buried after 14 November 1886 at Oakwood Cemetery, Beaver Dam, Dodge County, Wisconsin. [S1] Unknown compiler address, Birth Record: Illinois; Boone County; Beaver Precinct; Belvidere; Roll M704_55; Page 148; Image 71; Ancestry.com image 04 Feb 2004. [S113] Unknown record type, unknown repository address, Wisconsin, Dodge County, Beaver Dam (T No 11); Page 76; Line 18; Roll M432_996; Image 152; Ancestry.com image 04 Feb 2004. [S9] Unknown record type, unknown repository address, Wisconsin, Dodge County, Town of Beaver Dam; Page 106, Line 34, Family 232, Dwelling 232; Ancestry.com image 26 Jan 2004. [S107] Deed: Wisconsin, Rock County Register of Deeds, Janesville; Vol. 75; researched in Mar 2004. [S70] Unknown record type, unknown repository address, Wisconsin, Dodge County, Town of Beaver Dam, p. 35, Line 5, Dwelling 242, Family # 242; Roll 1710, Book 1, Page 85, MyFamily.com, Inc., 21 May 2003. [S92] Unknown record type, unknown repository address, Wisconsin, Dodge County, Beaver Dam; SD# 1; ED# 2, Page 16; Line 6; Dwelling 133, Family 135; Ancestry.com image 04 Feb 2004 p. 22C. �����Fatima Blackmer was born on 30 August 1817 at New York.1 She was the daughter of Calvin Blackmer and Clarissa Cross. Fatima Blackmer married James Madison How, son of Gideon How and Mary Jeffers, on 25 February 1836 at LeRay, New York.1 As of 25 February 1836,her married name was How. Fatima Blackmer appeared on the census of 29 July 1850 at Beaver Dam, Dodge County, Wisconsin; HOWE, Machina (sic) [Fatima]: Age 33, Female; Born in New York.2 She appeared on the census of 15 July 1860 at Beaver Dam, Dodge County, Wisconsin; HOW, Fatima (wife): Age 42, Female, Born in New York.3 She appeared on the census of 10 August 1870 at Burnett, Dodge County, Wisconsin; HOWE, Fatima: Age 52, Female, White, Occupation - Keeping House, Born in New York.4 She appeared on the census of 10 June 1880 at Beaver Dam, Dodge County, Wisconsin; HOW, Fatima: White; Female; Age 62; Wife; Married; Keeping House; Born in New York; Both parents born in New York.5 She died on 1 May 1883 at Beaver Dam, Dodge County, Wisconsin, at age 65.1 She was buried at Oakwood Cemetery, Dodge County, Wisconsin. [S113] Unknown record type, unknown repository address, Wisconsin, Dodge County, Beaver Dam (T No 11); Page 76; Line 19; Roll M432_996; Image 152; Ancestry.com image 04 Feb 2004. [S9] Unknown record type, unknown repository address, Wisconsin, Dodge County, Town of Beaver Dam; Page 106, Line 35, Family 232, Dwelling 232; Ancestry.com image 26 Jan 2004. [S70] Unknown record type, unknown repository address, Wisconsin, Dodge County, Town of Beaver Dam, p. 35, Line 6, Dwelling 242, Family # 242; Roll 1710, Book 1, Page 85, MyFamily.com, Inc., 21 May 2003. [S92] Unknown record type, unknown repository address, Wisconsin, Dodge County, Beaver Dam; SD# 1; ED# 2, Page 16; Line 7; Dwelling 133, Family 135; Ancestry.com image 04 Feb 2004 p. 22C. [S17] Death Record - Local, Wisconsin, Dodge County, Register of Deeds, Dodge County Courthouse, Juneau, WI; Deaths Vol 9 #508; researched 02 May 2003. [S113] Unknown record type, unknown repository address, Wisconsin, Dodge County, Beaver Dam (T No 11); Page 76; Line 22; Dwelling 391; Family 406; Roll M432_996; Image 152; Ancestry.com image 04 Feb 2004. [S182] Unknown first party v. Unknown second party, unknown record info: Obituary - Emily Jane (Howe) Marthaler; Beaver Dam Argus 24 Sept 1906 Page 3; states date of marriage to Mathias Marthaler, unknown repository. [S70] Unknown record type, unknown repository address, Wisconsin, Dodge County, Lowell, P. 59; Line 29; Roll 1711, Book 1, Page 402, MyFamily.com, Inc., 21 May 2003. [S92] Unknown record type, unknown repository address, Wisconsin, Dodge County, Lowell; page 8, SD# 1, ED# 20, Image 301C, Line 32; Ancestry.com image 18 Mar 2003. [S14] Twelfth Census of the United States, Dodge County, Beaver Dam, Roll T623 1784, SD # 1, ED # 80, Sheet No. 7A/9758, Line 1, Dwelling 116, Family 113; Ancestry.com image 06 Nov 2008 and 10 Oct 2011. [S139] State Historical Society, Madison, WI, Wisconsin Pre-1907 Vital Records: Deaths Dodge County; Reel 019 Vol 03 Image 2920 Sequence 243248 Death Record ID 117697; http://www.wisconsinhistory.org/vitalrecords/indes.asp... 15 Jan 2007. [S101] Helen Hinman Dwelle Chapter, Sunset Rest Cemetery Records, Liepsig Cemetery, South Beaver Dam, Dodge County, Wisconsin. [S9] Unknown record type, unknown repository address, Wisconsin, Dodge County, Town of Beaver Dam; Page 106, Line 38, Family 232, Dwelling 232; Ancestry.com image 26 Jan 2004. [S70] Unknown record type, unknown repository address, Wisconsin, Dodge County, Town of Beaver Dam, p. 35, Line 7, Dwelling 242, Family # 242; Roll 1710, Book 1, Page 85, MyFamily.com, Inc., 21 May 2003. [S139] State Historical Society, Madison, WI, Wisconsin Pre-1907 Vital Records: Marriage, Wisconsin, Rock County, Vol.2, page 397. [S92] Unknown record type, unknown repository address, Wisconsin, Dodge County, Beaver Dam 4th Ward, Page 2, SD # 1, ED #4, Line 9, Dwelling 32, Family 37; Ancestry.com image 07 Jan 2006. [S14] Twelfth Census of the United States, Wisconsin, Milwaukee County, Milwaukee, Ward 17; SD # 4. ED # 151;Page 15B, Line 100; Dwelling 299, Family 309; Ancestry.com image 07 Jan 2006. [S98] Unknown record type, unknown repository address, Wisconsin, Milwaukee County, Milwaukee 17th Ward; SD #4, ED # 192, Sheet 3B, Image 800, Line 62, Dwelling 54, Family 57; Ancestry.com image 07 Jan 2006. [S97] Unknown record type, unknown repository address, Wisconsin, Milwaukee County, Milwaukee 5th Ward; SD #4, ED #69, Sheet 12A, Line 47; Ancestry.com image 08 Jan 2006. [S137] Unknown record type, unknown repository address, Wisconsin, Milwaukee County, Milwaukee 12th Ward Block 1121; ED #40-143, SD #11, Sheet 7B; Line 58, Dwelling 18, Family 18; Ancestry.com image 08 Jan 2006. [S168] Ruben AYALA, GEDCOM file. �����James Albert Howe was born on 11 October 1843 at Beaver Dam, Dodge County, Wisconsin.1 He was the son of James Madison How and Fatima Blackmer. James Albert Howe appeared on the census of 29 July 1850 at Beaver Dam, Dodge County, Wisconsin; HOWE, Albert: Age 6; Male; Born in Wisconsin.2 He appeared on the census of 15 July 1860 at Beaver Dam, Dodge County, Wisconsin; HOW, Albert H.(sic): Age 16; Male, Occupation - Day Laborer; Born in Wisconsin.3 He married Lucinda E. Merrill, daughter of Ripley Merrill and Maria Van Alstine, on 12 October 1866 at M. E. Church, Beloit, Rock County, Wisconsin; marriage pronounced by S. C. Stocking of Beloit.1,4 James Albert Howe appeared on the census of 4 June 1880 at Center Street, Beaver Dam, Dodge County, Wisconsin; HOWE, James: White; Male; Age 36; Married; Works in Wollen factory; Born in Wisconsin, Both parents born in New York.5 He appeared on the census of 20 June 1895 at Beloit, Rock County, Wisconsin; Jas. Howe: 2 Male [James Albert HOWE - George H. MERRILL], 1 Female [Lucinda E. (MERRILL) HOWE]; 3 born in US.6 He appeared on the census of 11 June 1900 at 956 West Bridge, Beloit, Rock County, Wisconsin; HOWE, James : Head, White, Male, Born Oct 1843, Age 56, Married 34 years, Born in Wisconsin, Both parents born in New York, Read, Write and Speak English = Yes;Occupation - Pattern Maker; Rents Home.7 He appeared on the census of 5 May 1910 at 926 West Grand Avenue, Beloit, Rock County, Wisconsin; HOWE, James A.: Head, Male, White, Age 67, Married 1st 43 years, Born in Wisconsin, Both parents born in New York, Able to speak English, Occupation - Laborer Carpenter; Read and Write = Yes; Owns home free.8 He appeared on the census of 12 January 1920 at 956 West Grand Avenue, Beloit, Rock County, Wisconsin; HOWE, James A.: Head; Owns home Free; Male; White; Age 76; Married; Able to read and write; Born in Wisconsin; Both parents born in New York; Spoke English; Occupation - None.9 He died on 14 February 1930 at Beloit, Walworth County, Wisconsin, at age 86.1 He was buried at Oakwood Cemetery, Beaver Dam, Dodge County, Wisconsin. [S113] Unknown record type, unknown repository address, Wisconsin, Dodge County, Beaver Dam (T No 11); Page 76; Line 23; Dwelling 391; Family 406; Roll M432_996; Image 152; Ancestry.com image 04 Feb 2004. [S9] Unknown record type, unknown repository address, Wisconsin, Dodge County, Town of Beaver Dam; Page 106, Line 36, Family 232, Dwelling 232; Ancestry.com image 26 Jan 2004. [S7] How(e) Family Bible: Marriage Volume 3, page 29; Register of Deeds, Rock County Courthouse, Janesville, WI; 17 Mar 2004. [S92] Unknown record type, unknown repository address, Wisconsin, Dodge County, 2nd ward City of Beaver Dam; SD# 1; ED# 2, Page 14; Line 26; Dwelling 129, Family 140; Ancestry.com image 04 Feb 2004 p. 36B. [S151] Unknown record type, unknown location, unknown record info, Wisconsin, Rock County, Township of Beloit; Wisconsin Historical Library film Wisconsin State Census 1895, Reel 36 (Racine to Trempeleau Counties); researched on 27 Feb 2004. [S14] Twelfth Census of the United States, Wisconsin, Rock County, Beloit Town, Beloit City 4th Ward; SD# 1, ED# 163, Sheet No. 12A; Image 102; Line 41, Dwelling 237, Family 268; http://www.genealogy.com/cgi-bin/ifa_loan.cgi Feb 2004. [S98] Unknown record type, unknown repository address, Wisconsin, Rock County, Beloit City, 4th (North Half) Ward; SD # 1, ED # 97, Sheet No. 14B; Line 81, Dwelling 305, Family 318; MyFamily.com, Inc., Roll 1735 Book 1 Page 123; http://www.genealogy.com/cgi-bin/ifa_loan.cgi Feb 2004. [S97] Unknown record type, unknown repository address, Wisconsin, Rock County, Beloit Township, Beloit City; SD #1, ED #92, Sheet No. 12B; Line 74, Dwelling 266, Family 296; Ancestry.com image 28 Jan 2004. �����Tunis Salman How was born on 28 September 1846 at Beaver Dam, Dodge County, Wisconsin.1 He was the son of James Madison How and Fatima Blackmer. Tunis Salman How appeared on the census of 29 July 1850 at Beaver Dam, Dodge County, Wisconsin; HOWE, Tunis: Age 3; Male; Born in Wisconsin.2 He appeared on the census of 15 July 1860 at Beaver Dam, Dodge County, Wisconsin; HOW, Tunis T.(sic): Age 13; Male, Born in Wisconsin.3 He was cooper (barrel maker). He began military service on 23 March 1865 at Fond du Lac, Fond du Lac County, Wisconsin, HOW, Tunis: Private, Born in Wisconsin, Age 18, Occupation - Laborer; Enlisted Mar 23, 1865 at Fond du Lac by Capt. Hamilton for a 1 year term; Eyes - Grey, Hair - Brown, Complexion - Fair, Height 5'6"; Mustered in Mar 23, 1865 at Fond du Lac by Capt. Hamilton; Where credited - Eden, Fond du Lac County, Wisconsin; Comments - Join Co. from arrest at Ft. Leavensworth, Kan July 17 1865; Mustered out at Camp Randall, Madison, Wisconsin Aug 16, 1865.4 He ended military service on 16 August 1865 at Camp Randall, Madison, Dane County, Wisconsin; HOW, Tunis: Private, Enlisted Mar. 23, 1865 at Fond du Lac by Capt C. J. lHamilton for a term of 1 year; Mustered in Mar 23, 1865 at Fond du Lac; Age 18; Eyes - Gray, Hair - Brown, Complexion - Fair, Height 5'6"; Occupation - Laborer; Residence - Eden, Fond du Lac County, Wisconsin; Credited to Eden, Fond du Lac County, Wisconsin; Termination of service - M.O. 8/16/65; Rolls: D.M.I; T. R; M. O; Comments - T.R. Transferred to Co. H 51st Wis Inft June 30 1865 Left in Guard House Ft. Leavenworth Kan.
M.O. Joined Co. from arrest July 17, 1865 at Ft. Leavenworth, Kan.
[S113] Unknown record type, unknown repository address, Wisconsin, Dodge County, Beaver Dam (T No 11); Page 76; Line 24; Dwelling 391; Family 406; Roll M432_996; Image 152; Ancestry.com image 04 Feb 2004. [S9] Unknown record type, unknown repository address, Wisconsin, Dodge County, Town of Beaver Dam; Page 106, Line 37, Family 232, Dwelling 232; Ancestry.com image 26 Jan 2004. [S127] Unknown subject, Military Service Record, Civil War Muster and Descriptive Rolls, Co. B 53rd Infantry Regiment; 1865, Series # 1144, Vol. 57; Wisconsin Historical Society Library Archives, Madison, Wisconsin; researched on 21 June 2004 [also referred to as the Red Books]. [S127] Unknown subject, Military Service Record, Civil War Descriptive Rolls 1861-1865, 52nd & 53rd Inf. Series # 1142, Box # 58; Wisconsin Historical Society Library Archives, Madison, Wisconsin; researched on 21 June 2004 [also referred to as the Blue Books]. [S139] State Historical Society, Madison, WI, Wisconsin Pre-1907 Vital Records: Marriages Dodge County Vol 4 page 0075 Record No. 1416711; http://www.wisconsinhistory.org/vitalrecords/index.asp... 15 Jan 2007. [S70] Unknown record type, unknown repository address, Wisconsin, Dodge County, Town of Beaver Dam, p. 35, Line 10, Dwelling 244, Family # 243; Roll 1710, Book 1, Page 85, MyFamily.com, Inc., 21 May 2003. [S92] Unknown record type, unknown repository address, Wisconsin, Dodge County, City of Beaver Dam, 4th Ward; Page 28, SD# 1 ED#9, Page 59C, Line 25, Dwelling 70, Family No. 77; Ancestry.com image 18 Mar 2003. [S78] Beaver Dam City Directoy, Milwaukee, Wisconsin Directoy, 1889-90; Ancestry.com 09 Jul 2000. [S98] Unknown record type, unknown repository address, Wisconsin, Shawano County, Township 28 R 14 East, Stockbridge Indian Reservation, SD# 9, ED# 164, Sheet No. 11A, Image 111, Line 17, Dwelling 89, Family No. 91; Ancestry.com image 19 Mar 2003. [S35] Interview, unknown informant, from Alfred Hill at Howe-Moon-Hill Family Reunion; 19 June 2004. �����George Manley Howe was born on 3 August 1857 at Beaver Dam, Dodge County, Wisconsin.2 He was the son of James Madison How and Fatima Blackmer. George Manley Howe appeared on the census of 15 July 1860 at Beaver Dam, Dodge County, Wisconsin; HOW, George B. (sic): Age 2; Male, Born in Wisconsin.3 He appeared on the census of 10 August 1870 at Burnett, Dodge County, Wisconsin; HOWE, George: Age13, Male, White, At School, Born in Wisconsin.4 He appeared on the census of 12 June 1880 at 48 South Carpenter Street, Chicago, Cook County, Illinois; HOWE, Geo: White, Male, Age 22, Boarder, Single, Occupation - Draftsman; Born in Wisconsin, Both parents born in England [sic] Should be Both parents born in New York.5 He was draughtsman. He married Naurene La Patten, daughter of Father of Naurene La Patten and Mother of Naurene (?) La Patten, on 6 December 1882 at Milwaukee, Milwaukee County, Wisconsin.1 George Manley Howe appeared on the census of 2 July 1900 at 379 Homer Street, Chicago, Cook County, Illinois; HOWE, George M.: Head, White, Male, Born Aug 1857, Age 42, Married 17 years; Born in Wisconsin, Both parents born in New York; Occupation - Draftsman; Read, Write, Speak English = Yes; Rents home.6 He appeared on the census of 1 May 1910 at 1644 N Kedzie Avenue, Chicago, Cook County, Illinois; HOWE, George W.: Head, Male, White, Age 52, Married first at age 29; Born in Wisconsin, Both parents born in New York; Speak English = Yes; Occupation - Draughtsman (Engraving Co.); Read and Write = Yes; Rent home.7 He died on 20 October 1918 at Racine, Racine County, Wisconsin, at age 61.2 He was buried at Oakwood Cemetery, Beaver Dam, Dodge County, Wisconsin. [S139] State Historical Society, Madison, WI, Wisconsin Pre-1907 Vital Records: Marriages Milwaukee County Vol. 16, page 0308. [S9] Unknown record type, unknown repository address, Wisconsin, Dodge County, Town of Beaver Dam; Page 106, Line 39, Family 232, Dwelling 232; Ancestry.com image 26 Jan 2004. [S70] Unknown record type, unknown repository address, Wisconsin, Dodge County, Town of Beaver Dam, p. 35, Line 8, Dwelling 242, Family # 242; Roll 1710, Book 1, Page 85, MyFamily.com, Inc., 21 May 2003. [S92] Unknown record type, unknown repository address, Illinois, Cook County, Chicago; SD # 1, ED # 98, Page 44; Line 45, Dwelling 255, Family 575; Ancestry.com image 17 Jan 2006. [S14] Twelfth Census of the United States, Illinois, Cook County, Chicago, Ward 15; SD # 1, ED # 476, Sheet 3A; Line 22, Dwelling 28?, Family 52; Ancestry.com image 17 Jan 2006. [S98] Unknown record type, unknown repository address, Illinois, Cook County, Chicago, Ward 27; SD # 1, ED # 1209, Sheet 18A/67A; Line 44, Dwelling 119?, Family 434; Ancestry.com image 17 Jan 2006. 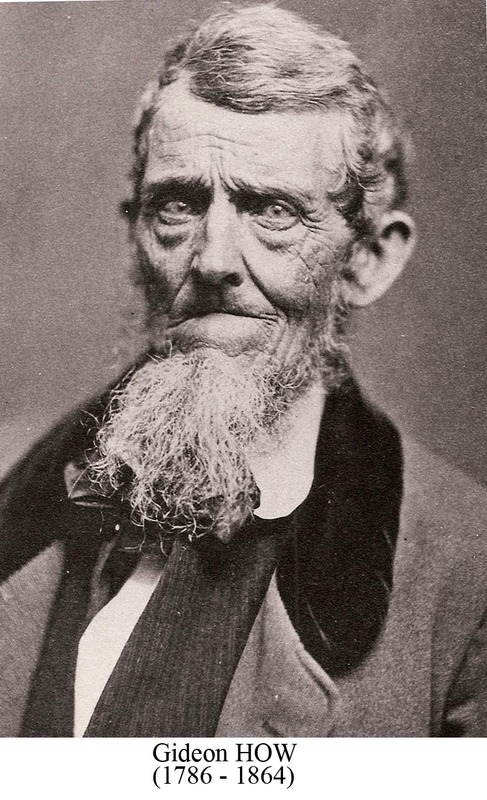 ����������1 - John, born 1810; died 1861. ����������2 - George Michael, born ? ; died soon after birth. ����������6 - Mary Elizabeth, Born? ; died ? ����������7 - Odilia, born and died? Lived a few years. 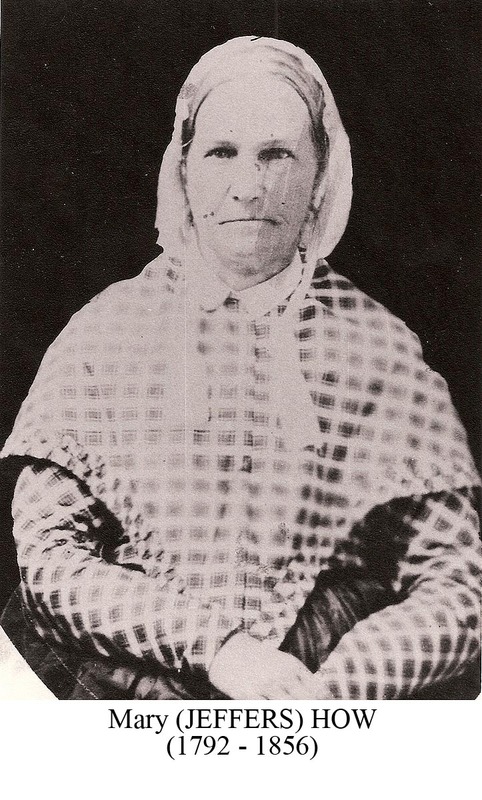 ����������4 - Anna Eva, born Aug. 15, 1833; died 1835. ����������1 - Peter, born Nov. 20, 1839; died ? �����On the 30th of March, 1841, he left Seimers Heim (Liemersheim*) for America with said 3rd wife, Margretha, and the following children in rotation to age: Mary Eva, Mary Elizabeth, Franz Michael, George Michael, Mathias, Eva Barbara and Peter. They left Harrede Grace April 20, 1841 and arrived in New York City May 22, 1841 on Saturday evening. Went over to Elizabethport the 24th to the home of John Marthaler, the first son by his first wife who had emigrated to America 8 years before. John Philip Marthaler took sick May 26 and 6 a.m. and died the next morning between 3 & 4 o'clock. He was buried at 3 p.m. the same day, May 27, 1841. 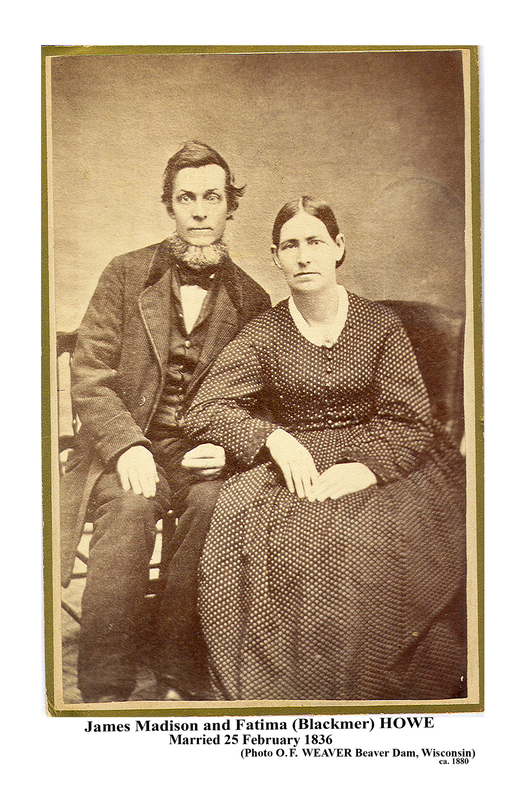 Margaretha and Peter left Elizabethport for New York City, Aug. 11, 1842 and arrived in Erie with her son, Peter, Aug. 28, 1842. She got married to second husband, George Jostus Friedrichs of Gladebuck, Hanover, born April 5, 1805. With him she begot 5 children all of which are dead. Said Peter now goes by the name of his step-father. the foregoing was drawn up and written the 13th day of March, 1871 by Peter Friedrichs. This for George Marthaler. (Written for my brother George and Margaret Marthaler and Mathias Marthaler and sister Eva Barbara. �����Peter Friedrichs, born Nov. 20, 1839, married Sept. 1, 1867 Margaretha Hartleb, daughter of Franz Hartleb and Catherine Huster. She was born July 25, 1842 in Albig, Hepe (Hesse) Darmstadt, Germany. �����1 - Jacob Anton, born June 13, 1868. �����2 - George Ambrose, born Dec. 7, 1869. �����3 - Verena Elisabeth, born Jan. 15, 1872. �����4 - Philip Peter, born April 21, 1873. Lived a few hours. �����6 - Peter Sebastian (Twin) born Feb. 27, 1874. Died as babies. *I typed Leimersheim in the parenthesis in view of my own thoughts and research that this typed transcript was copied from a handwritten German script as Seimers Heim. Have been unable to locate any such area as Seimers Heim and the LDS Library records corroborate the Leimersheim. [S171] Unknown subject unknown repository, p. 1. [S54] Unknown subject unknown repository, Keller/Marthaler; Phylis G. Janey, 302 Bell Lane, Mill Valley, CA 94941-4004. [S53] International Genealogical Index (IGI), Individual Record: accessed Familysearch.com 29 June 2007. [S171] Unknown subject unknown repository, p.1. [S120] Unknown subject unknown repository, Ancestry.com New York, 1820-1850 Passenger and Immigration Lists [database online], Provo UT, USA: The Benerations Network, Inc., 2003. Original data: New York, Registers of Vessels arriving at the Port of New York from Foreign Ports, 1789-1919, Washington, D. C.: National Archives and Records Administration, Micropublication M127, rolls # 1-95. [S53] International Genealogical Index (IGI), Individual Record: Birth record for daughter, Eva Rosina PFAD; Batch No. K973211 1785-1812 Source Call No. : 0367703; accessed Familysearch.com 29 June 2007. [S120] Unknown author, "Electronic Web Site", Ancestry.com New York, 1820-1850 Passenger and Immigration Lists [database online], Provo UT, USA: The Benerations Network, Inc., 2003. Original data: New York, Registers of Vessels arriving at the Port of New York from Foreign Ports, 1789-1919, Washington, D. C.: National Archives and Records Administration, Micropublication M127, rolls # 1-95. [S113] Unknown record type, unknown repository address, Pennsylvania, Erie County, West Ward Erie; Roll: M432777, Page 241; Image 480; Line 42, Dwelling 188, Family 883; Ancestry.com image accessed 25 June 2007. [S9] Unknown record type, unknown repository address, Pennsylvania, Erie County, Erie: Roll M6531107, Page 170/ 235; Image 245; Line 33, Dwelling 1515, Family 1385; Ancestry.com image accessed 25 June 2007. [S92] Unknown record type, unknown repository address, Pennsylvania, Erie County, Sixth ward of Erie; SD # 10, ED # 155, Page No. Forty four; Dwelling 405, Family 432; Line 17; Ancestry.com image 01 Mar 2004. [S142] City Directory, Ancestry.com, Erie, Pennsylvania City Directories, 1889-1893: http://search.ancestry.com/cgi-bin/sse.dll...; accessed 01 Mar 2004. [S111] Unknown author, "LDS Pedigree Resource File", Individual Record; submitted by Sharon Weindorf HAWKINS, 382 E 5900 South Murray, Utah 84107; Compact Disc #55 Pin #857935; accessed Familysearch.com 29 June 2007. [S167] 1830 unknown record type, unknown repository address, New Jersey, Essex County, Elizabeth Town, Roll 251, Page 400. [S113] Unknown record type, unknown repository address, New Jersey, Essex County, Elisabeth Township; Roll M432_449, Page 57, Image 118; Line 17, Dwelling 795, Family 903; accessed Ancestry.com 19 June 2007. [S9] Unknown record type, unknown repository address, New Jersey, Mercer County, Ewing Township; Roll: M653_697; Page 52/ 710, Image: 465; Post Office: Princeton ; Line 32, Dwelling 394, Family 719; Ancestry.com image accessed 29 June 2007. [S70] Unknown record type, unknown repository address, New York, New York County, City of New York; page 11, Line 33, Dwelling 30, Family 69; Ancestry.com [database online], Provo, UT, USA; The Generations Network, Inc., 2003. Original data: 1870 United States, Ninth census of the united states, 1870, Washington, D.C. National Archives and Records Administration M593, RG29, 1,761 rolls. �����Maria Eva Marthaler was born on 2 April 1813 at Leimersheim, Germany.1 She was the daughter of Johann Philipp Marthaler and Eva Barbara Keller.2 Maria Eva Marthaler immigrated with her father Johann Philipp Marthaler and stepmother Margretha Duthan on 22 May 1841 at New York, New York; from Deutschland on the Ship Oneida.3 Maria Eva Marthaler died between 1852 and 1854 at America. [S17] Death Record - Local, Wisconsin, Dodge County, Register of Deeds, Dodge County Courthouse, Juneau, WI; Deaths Vol. 15 #616 researched 02 May 2003. [S2] Death - Obituary, Beaver Dam Argus, 23 Apr 1914; posted by Bob Mittelstadt e-mail address 18 May 1999. [S9] Unknown record type, unknown repository address, Wisconsin, Dodge County, Town of Beaver Dam; Page 97, Line 9; Family 163, Dwelling 163; Ancestry.com image 26 Jan 2004. [S70] Unknown record type, unknown repository address, Wisconsin, Dodge County, Town of Beaver Dam, p. 34, Line 36, Dwelling 241, Family # 241; Roll 1710, Book 1, Page 84, MyFamily.com, Inc., 21 May 2003. [S98] Unknown record type, unknown repository address, Wisconsin, Dodge County, Beaver Dam City, Ward 7; SD# 5, ED# 5, Sheet No. 2A, Image 265A; Line 5, Dwelling 29, Family 30; Ancestry.com image 15 Feb 2004. [S131] Unknown author, "Genealogy.com", http://www.genealogy.com/cgi-bin/wizard_results.cgi... , researced on 11 May 2002. [S8] Unknown name of person, unknown ship name unknown record type, National Archives, Washington D.C.; Microfilm No. M237, Microfilm Roll No. 45. [S182] Unknown first party v. Unknown second party, unknown record info: Obituary - Mathias Marthaler; Beaver Dam Argus 4 Aug 1899, unknown repository. [S70] Unknown record type, unknown repository address, Wisconsin, Dodge County, Lowell, P. 59; Line 28; Roll 1711, Book 1, Page 402, MyFamily.com, Inc., 21 May 2003. [S92] Unknown record type, unknown repository address, Wisconsin, Dodge County, Lowell; page 8, SD# 1, ED# 20, Image 301C, Line 31; Ancestry.com image 18 Mar 2003. [S17] Death Record - Local, Wisconsin, Dodge County, Register of Deeds, Dodge County Courthouse, Juneau, WI; Deaths Vol 3 #416; researched 02 May 2003. [S139] State Historical Society, Madison, WI, Wisconsin Pre-1907 Vital Records: Deaths Dodge County; Reel 018 Vol 02 Page 0122 Image 2116 Sequence 243251 Death Record ID 117698; http://www.wisconsinhistory.org/vitalrecords/indes.asp... 15 Jan 2007. [S92] Unknown record type, unknown repository address, Pennsylvania, Erie County, Sixth ward of Erie; SD # 10, ED # 155, Page No. Forty four; Dwelling 405, Family 432; Line 10; Ancestry.com image 01 Mar 2004. [S120] Unknown record type, unknown repository address, Ancestry.com, Erie, Pennsylvania City Directories, 1889-1893 [database online], Provo, UT; Ancestry. com, 2000, Original date: Atkinson's Erie City Directory for 1889, Erie, PA: Atkinson Co, 1889, Atkinson's Erie City Directory for 1891. Erie, PA: Atkinson Co, 1891, Atkinson's Erie City Directory for 1893, Erie, PA: Atkinson Co, 1893. [S14] Twelfth Census of the United States, Pennsylvania, Erie County, Erie City, SD # 15, ED # 100?, Page 9B, Line 84, Dwelling 176, Family 199; Ancestry.com image accessed 28 June 2007 [Photocopy of Original record was very difficult to transcribe]. [S98] Unknown record type, unknown repository address, Pennsylvania, Erie County, Erie City, 6th Ward, SD# 11, ED# 103, Sheet No. 8B, Page 71B, Line 90, Dwelling 158, Family 183; Ancestry.com image 03 Jun 2004. [S92] Unknown record type, unknown repository address, Pennsylvania, Erie County, Sixth ward of Erie; SD # 12, ED # 155, Page No. Forty four; Dwelling 405, Family 432; Line 17; Ancestry.com image 01 Mar 2004. [S92] Unknown record type, unknown repository address, Pennsylvania, Erie County, Sixth ward of Erie; SD # 13, ED # 155, Page No. Forty four; Dwelling 405, Family 432; Line 17; Ancestry.com image 01 Mar 2004. [S92] Unknown record type, unknown repository address, Pennsylvania, Erie County, Sixth ward of Erie; SD # 10, ED # 155, Page No. Forty four; Dwelling 405, Family 432; Line 14; Ancestry.com image 01 Mar 2004. [S163] Unknown subject unknown repository, Family Record of Johann Philip Marthaler; Peter Friedrichs, dated 13 Mar 1871. [S163] Unknown subject unknown repository, Family Record of John Philip Marthaler written by Peter Marthaler (Friedrichs) 13 Mar 1871. [S92] Unknown record type, unknown repository address, Pennsylvania, Erie County, Sixth ward of Erie; SD # 10, ED # 155, Page No. Forty four; Dwelling 405, Family 432; Line 16; Ancestry.com image 01 Mar 2004. [S98] Unknown record type, unknown repository address, Pennsylvania, Erie County, Erie City, 6th Ward, SD# 11, ED# 103, Sheet No. 8B, Page 71B, Line 94, Dwelling 158, Family 183; Ancestry.com image 03 Jun 2004. [S92] Unknown record type, unknown repository address, Pennsylvania, Erie County, Sixth ward of Erie; SD # 11, ED # 155, Page No. Forty four; Dwelling 405, Family 432; Line 17; Ancestry.com image 01 Mar 2004. [S92] Unknown record type, unknown repository address, Pennsylvania, Erie County, Sixth ward of Erie; SD # 10, ED # 155, Page No. Forty four; Dwelling 405, Family 432; Line 11; Ancestry.com image 01 Mar 2004. [S98] Unknown record type, unknown repository address, Pennsylvania, Erie County, Erie City, 6th Ward, SD# 11, ED# 103, Sheet No. 8B, Page 71B, Line 91, Dwelling 158, Family 183; Ancestry.com image 03 Jun 2004. [S97] Unknown record type, unknown repository address, Pennsylvania, Erie County, Erie City Ward 6; SD# 23, ED# 108, Sheet 10B, Image 0730; Line 83; Dwelling 178, Family 205; Ancestry.com image 05 June 2004. �����Franz Hartleb married Catherine Huster.